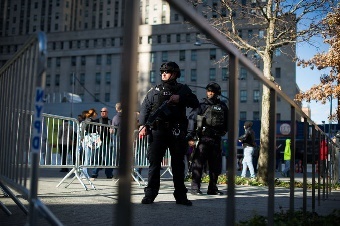 Anxiety Attack: Living in New York City Under Terrorist Threat. With all of the violence in the world around us, we find ourselves desperately trying to develop a resilience that will enable us to handle the ongoing challenges that continue to assault our sensibilities. Orange alert, Bio-terror, North Korea, war in Iraq, realities that resonate, bell-like in our heads dispersing fear and stress. In spite of the disquiet that now envelops the world, your personal healing must start. I’ve learned that a sense of community is vital to this process. It’s a time to reach out, to engage others and to realize that every one of us is out of balance, scared and anxious. Sharing your feelings is one way to spread out the pain and feel less alone, less out of control. In my book, Self-Coaching: How to Heal Anxiety and Depressiontalk about circumstance-driven versus insecurity-driven anxiety and depression. Trust me, what happened on September 11th is circumstance-driven and your feelings of destabilization, disorientation and loss of control are normal and understandable. As we traverse these difficult times, it becomes imperative that in spite of these realities, you learn to establish more of a capacity for re-engaging your normal life. If however, you find yourself becoming increasingly more anxious or depressed, you should realize that you’re probably introducing insecurity-driven, toxicity to your thinking. The one thing you don’t need at this very difficult time is to add more chaos and confusion to your life. Self-Coaching is a program for handling these contaminating thoughts (i.e., seeing danger in safe places, constant worry, rumination, withdrawal, excessive fear or depression). As my grandmother was fond of saying: You can’t stop a bird from flying into your hair, but you don’t have to help it build a nest! You can’t stop thoughts of terror or fear from popping into your mind, but you don’t have to follow it with a second thought, or a third, or a fourth. From this day on, don’t allow yourself to be building nests of fear and insecurity. The United States, protected by vast oceans and resources has, throughout our entire history, managed to remain inviolate. We, like any teenager, held a view of invincibility. As a nation our adolescent bubble has been pricked, no longer can we feel the protection and bliss of unconsciousness that we once knew. Now we must mature. Our maturation as a nation will require the development of a new world perspective. One that develops and embraces a more resilient attitude–an ability to exist alongside uncertainty and danger. This new perspective can only be accomplished with courage and discipline. Discipline not to feed or fertilize insecurity by allowing terrorism to be projected into your normal daily life and courage to turn away from fear. Courage is a choice, one that you can insist on. Everyone has the capacity for courage, it’s not a matter of developing or learning to be courageous, it’s a matter of choosing to access the courage within. Begin the process today by not allowing insecurity to find root, by insisting on a courageous path to follow and by knowing in your bones that living without fear is the very best you can ask of yourself. In the movie Star Wars, when his home planet was destroyed, Obee Wan states: There’s been a disturbance to the force. My friends, there has been a disturbance to the force. Big Time! God willing, we will learn from all this and one day live in peace again.